Thiruvananthapuram: D-Plus, a complete hospital application solely for the Ayurvedic hospitals and clinics will be launched here on Thursday. 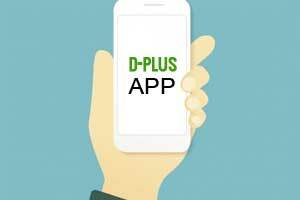 The D-Plus App was developed by De’Antz Technological Solutions Pvt Ltd, a startup incubated with Kerala Startup Mission (KSUM). The App will be launched during an Ayurveda medical camp to be held at Park Center, Technopark, here for techies and their families in concert with KSUM. Dr Saji Gopinath, CEO, KSUM, will inaugurate the camp at 0930 hrs, and also launch the website www.ayurvedam4you.